Pick of the week: “Manhunter” — Still shaking from Season 2 of “Hannibal”? 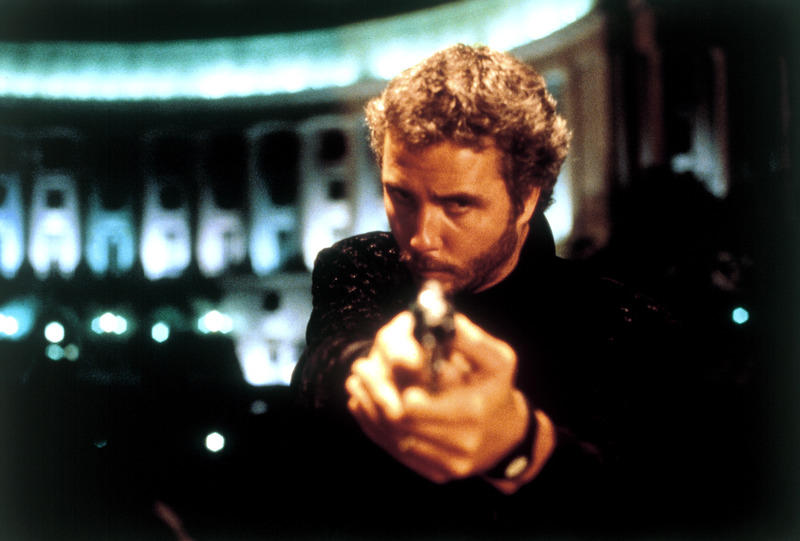 Time to head back to Michael Mann’s 1986 adaptation of the Thomas Harris novel, with William Petersen as FBI profiler Will Graham and Brian Cox as the manipulative Hannibal Lecter. “The Act of Killing: The Director’s Cut“ — My full review is here. I’m not sure what’s in the 37 minutes of extra footage in this new Director’s Cut version (the theatrical cut has been on Netflix since January), but Joshua Oppenheimer’s documentary about government-sanctioned mass murderers in Indonesia, faced with their crimes when Oppenheimer invites them to reenact their atrocities for the camera. “Particle Fever” —My full review is here. This utterly engrossing documentary looks at the Large Hadron Collider and, perhaps more significantly, the lives of several scientists who have devoted their lives to seeking the God Particle. As much as the film celebrates the advances science has made, it champions the idea of uncertainty, of being willing to scuttle your theories and beliefs when new information arises. “Hitch” — Will Smith might want to take a break from “After Earth”-style blockbuster roles and do more stuff like this rom-com, in which he plays a cynical Cupid teaching unlovable guys (like Kevin James) how to woo. For the genre, it’s a pretty smart film — until Hitch inevitably gets all gooey himself in the third act. “The Hunt for Red October” — The first of the Jack Ryan movies is still the best, a tense cat-and-mouse thriller in which CIA analyst Ryan (Alec Baldwin) tries to ascertain whether a defecting Russian sub commander (Sean Connery) is legit or not.